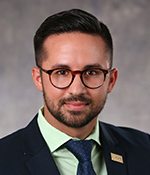 Prior to coming to The Trust, Mr. Vazquez was an analyst for Florida State University’s Center for Prevention and Early Intervention Policy, where he assisted with the evaluation of an intervention focused on mitigating the effects of trauma and toxic stress in young children and analyses of data related to the well-being of children across Florida. In addition, he has worked for the Florida Department of Health on the implementation and evaluation of a program to improve the health and development of at-risk children and for the University of South Florida’s Lawton and Rhea Chiles Center on the analyses of Florida’s refugee health and health care utilization data. Mr. Vazquez holds a Bachelor of Science in exercise science and a master’s in public health, both from Florida State University.